Coconut cookies. I use to buy and eat this cookies very often from the bakery near my school. It use to be a little different in shape from this cookies but the taste is same. I still remember those days when i use to go and buy this cookies in my lunch break and eat during the class :) After a long time i ate this cookies again fully satisfied. 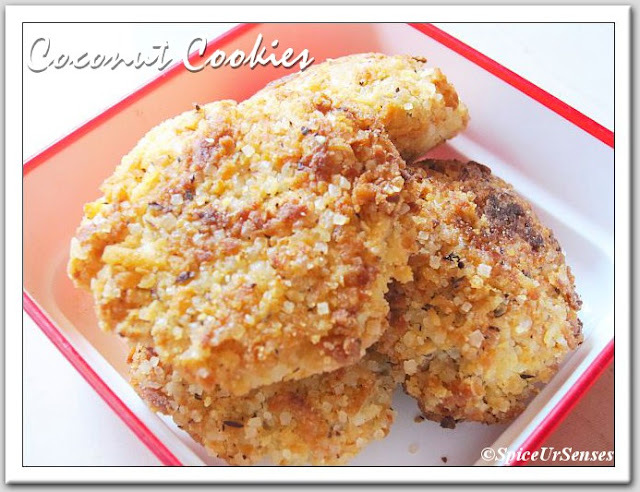 Now i don't have search for this cookies any where... To know more cookies recipe. Preheat oven to 300F/150C for 10 minutes. In a large mixing bowl add all the above ingredients and mix them together nicely, and refrigerate for 10 to 15minutes. So that the dough becomes easy to handle. Then drop dough by teaspoonfuls onto greased baking tray. Bake for about 10 to 15 minutes or until golden brown. Cool it on the wire rack for them to cool completely. 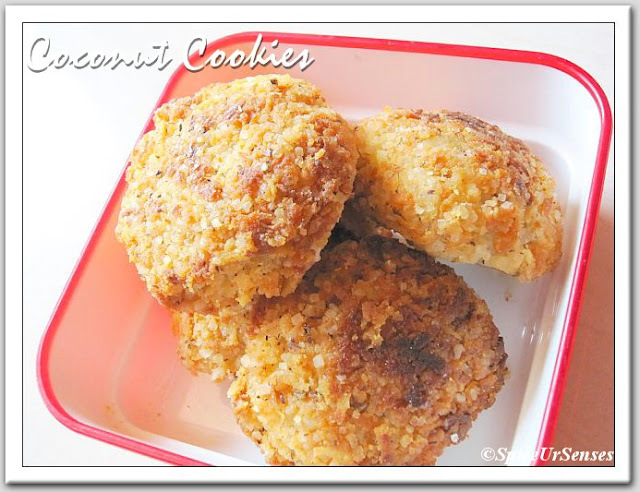 Store these coconut cookies in an airtight container. 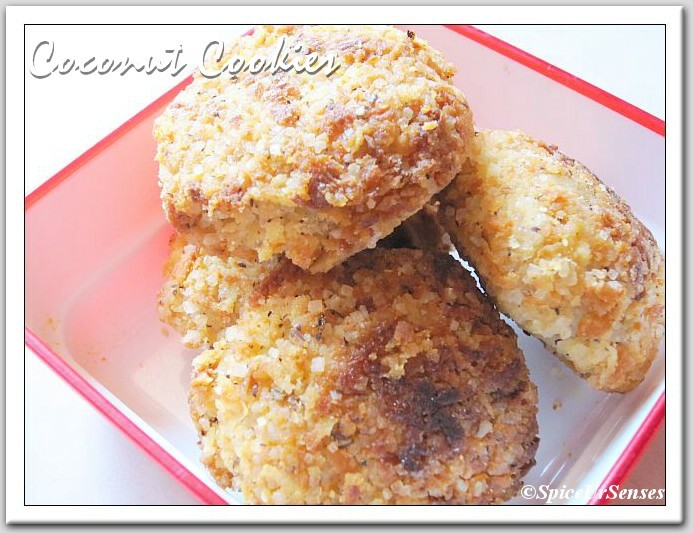 I'm Sending this recipe to Surabhi Nayak from My Cook Book. Me too a big fan of coconut cookies, these looks really yumm! I love anything with coconut !! Very tempting cookies !! yum yum cookies, love them..
mmm.... I remember eating these when I was small. They look perfect and yummy.